A video game music podcast focusing mainly on the 8 and 16 bit eras. Welcome to The Diad Presents! We made it to 50, guys. And they said it wouldn't last. This is a bit self-referential for the VGM podcast crowd, but hey, that's who the show is for in the first place. 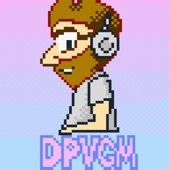 After a bit of a hiatus, i'm back with a VGMJB-styled "dissertation" episode (skits and music), packed with plenty of familiar voices in the VGM podcast community. Hopefully you enjoy the slight change of pace. Regular episodes return next time (and it's already in the works). Sit back, relax, and cruise along with the flowing, groovin' Space Jams. WHO LET THE DIAD OUT OF HIS CAGE? RUN! HE'S PODCASTIN' AGAIN!